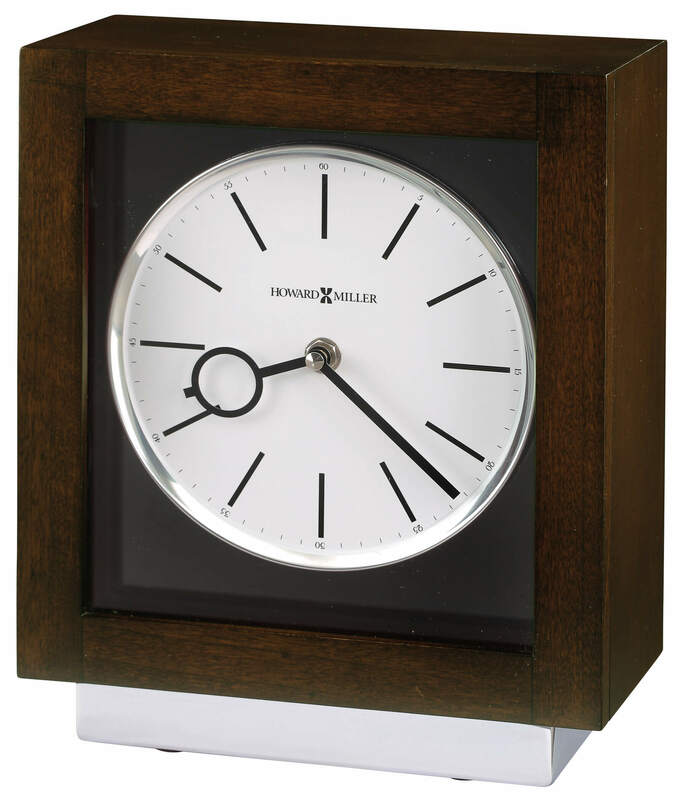 This rectangular mantel clock is finished in Espresso on select hardwoods and veneers, is supported by a polished chrome plated metal-wrapped base, and features a floating dial. 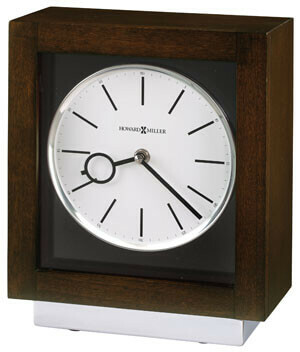 The white dial with black bar hour markers and minute track; black hour and minute hands; and polished chrome-finished bezel sits beneath flat glass. You will save $83.10 (30 %) on this Howard Miller Cameron II Mantel 635-182.